Göta Canal Steamship Company, which operates three historical ships on the Göta Canal in Sweden, has announced a new cruise for 2017. 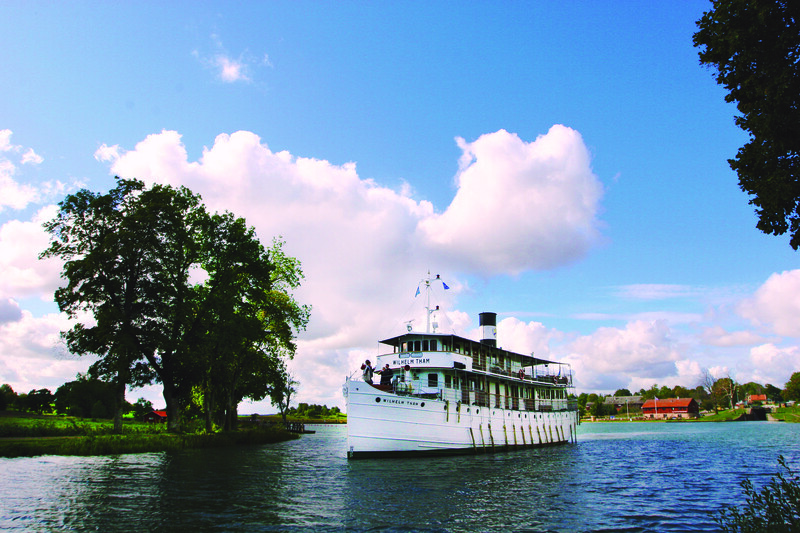 The three-day ‘Göta Canal Highlights’ cruise, onboard the Wilhelm Tham, will travel along the canal from the city of Mariestad on the shores of Lake Vänern to Norsholm in the province of Östergötland. The ship will go through 44 locks including the Göta Canal’s two longest lock staircases. Other highlights include a guided tour of the Forsviks Bruk – one of Sweden’s most interesting industrial communities; a visit to the Motala Motor Museum, Sweden’s most visited automobile and adventure museum; the convent church of Vreta and the remains of Sweden’s first convent; beautiful Lake Viken; Lake Vättern with its unusually deep and clear water; and the idyllic village of Borensberg. The Wilhelm Tham was built in 1912 and listed in 2004 by the National Maritime Museum due to its historical importance. There are 25 cabins for 50 guests. The size of the cabins is comparable to a sleeping compartment on a train – most are fitted with bunk beds. There are eight departures in 2017 and cruise-only prices start from £720 per person excluding flights.